When you think of a leisure vacation destination, there is no better place than Thailand. It is filled to the brim with excitement and adventure. It has a landscape that will take your breath away and tempt you with a fantastic cuisine that will tantalize your taste buds. With so many things to do and places to visit, you may not know where to begin your trip to Thailand. This is where we come in. Here are 6 reasons to plan a trip to Thailand! 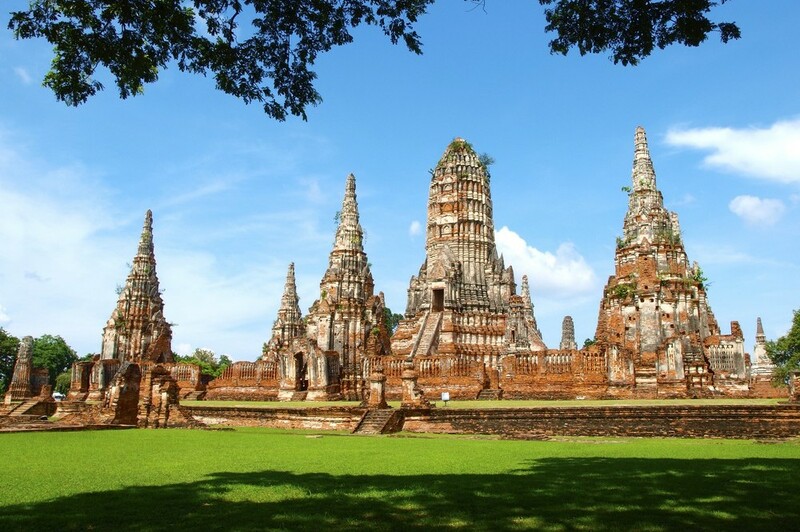 A UNESCO World Heritage Site and a beautiful historical park, Ayutthaya is just a short drive from Bangkok. Once the capital of Siam, this sacred city was burnt to the ground by the Burmese. The sacred shrines, chedis and buddha statues that stand today are the only ones that survived the attack. Over the centuries, they remained buried under ground and have thus stood the test of time. 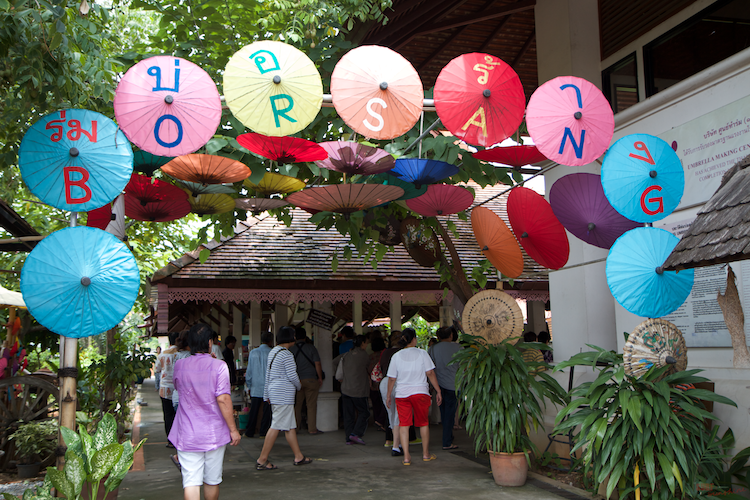 The park is open to all and is a beautiful place that gives you a little insight into Thailand’s amazing past. A trip to Thailand must include this beautiful heritage site on the itinerary. After the fall of Ayutthaya, the Grand Palace complex was built as the new capital. Stretching across 218,000-square-meters, it once housed the royal residents, throne halls, government offices, Buddhist Temples and works of art. Most of the structures still stand strong and it will take you at least 3 hours to explore them all. But make sure to dress appropriately or else entry will be denied. Men are required to wear long pants and shirts with sleeves. If you are wearing sandals or flip-flops, you are required to wear socks. Women are required to dress similarly, and see-through clothes are strictly not allowed. 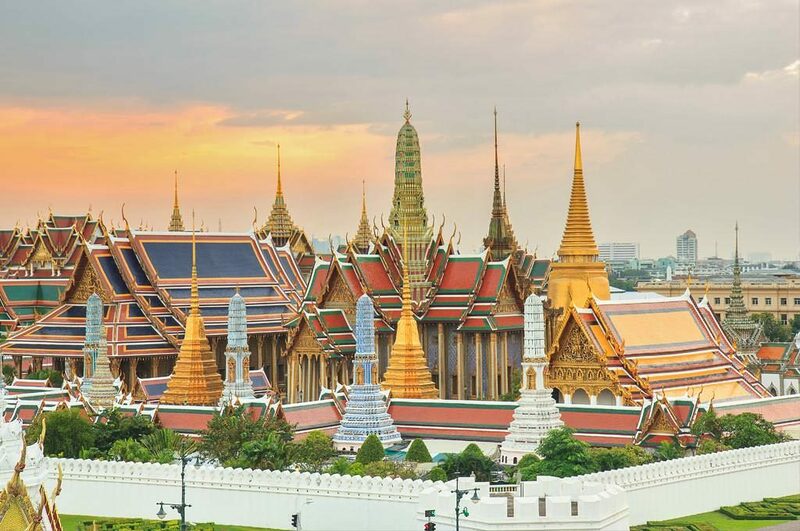 Needless to say, the Grand Palace is one of the most beautiful places to visit in Thailand. Thailand is known as THE shopping destination. It is home to everything from street markets to mega malls. 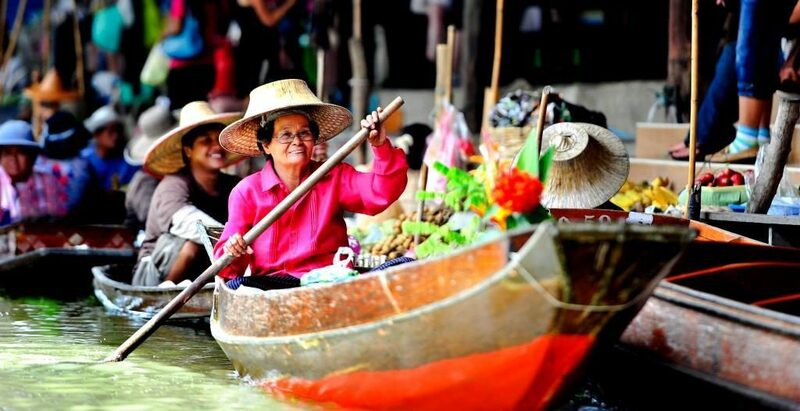 But the one that is the icing on the cake is the Damnoen Saduak Floating Market. Unique in every way, it is a famous tourist spot as well as a daily market. Here you can shop for food, clothing, souvenirs and a lot more, all while in a boat! If you want to indulge in some local cuisine, this is the place where you can try it. Make sure to carry along some local currency and also a camera to capture this amazing floating experience. A rehabilitation centre to injured, elder and abused elephants, animal lovers will definitely love the Elephant Nature Park. Make your way here to watch these gentle giants in their natural habitat. You can enjoy up-close elephant encounters and also feed them.If you simply want to relax and have a peaceful time with your family amongst nature, the Elephant Nature Park is the place to be at. Just a stone’s throw away from Chiang Mai is the quiet and peaceful village of Bo Sang. What makes this village special is its bamboo parasols and umbrellas. Rightfully nicknamed the ‘Umbrella Village’, visitors get the opportunity to see the entire process of creation of the famous paper umbrellas, right from the raw bamboo to the finished product. You can even purchase the umbrellas from the plethora of designs that are available across this village. A trip to Thailand would be incomplete without a visit to this beautiful village. 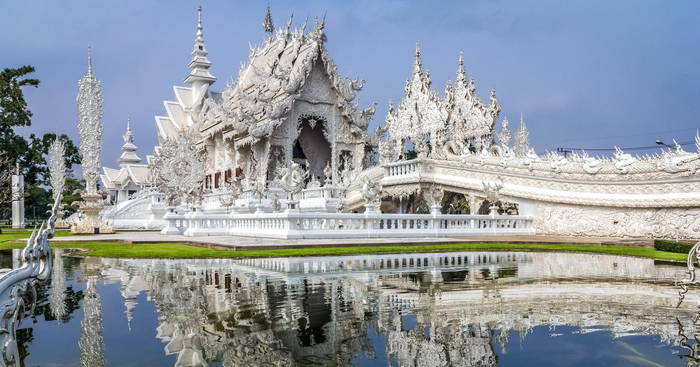 Known as the White Temple, Wat Rong Khun is a one-of-a-kind temple unlike anything you’ll ever come across. The brainchild of artist Ajarn Chalermchai Kositpipat, it is a highlight of many Thailand Holiday Packages. This unique temple was designed to be white to signify the Buddha’s purity. A famous tourist spot and an exceptional temple, your Thailand holiday will surely be incomplete without a visit to this temple. Keep these above places in mind when planning a trip to Thailand and you will surely have a blast. If you think we missed out on any tips and destinations others must know about, please feel free to mention them in the comments below. There are so many things to do & places to visit in Thailand, you may not know where to begin. 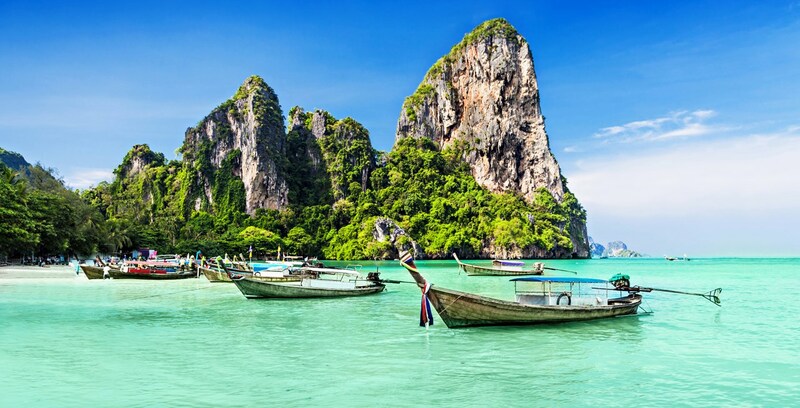 Here are 6 reasons to plan a trip to Thailand!